Mathematicians is a remarkable collection of ninety-two photographic portraits, featuring some of the most amazing mathematicians of our time. 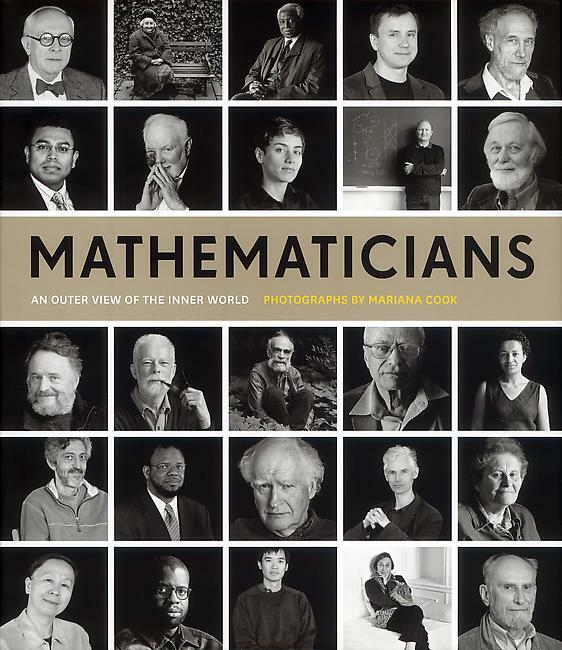 Acclaimed photographer Mariana Cook captures the exuberant and colorful personalities of these brilliant thinkers and the superb images are accompanied by brief autobiographical texts written by each mathematician. Together, the photographs and words illuminate a diverse group of men and women dedicated to the absorbing pursuit of mathematics. The compelling black-and-white portraits introduce readers to mathematicians who are young and old, fathers and daughters, and husbands and wives. They include Fields Medal winners, those at the beginning of major careers, and those who are long-established celebrities in the discipline. Their candid personal essays reveal unique and wide-ranging thoughts, opinions, and humor, as the mathematicians discuss how they became interested in mathematics, why they love the subject, how they remain motivated in the face of mathematical challenges, and how their greatest contributions have paved new directions for future generations. Mathematicians in the book include David Blackwell, Henri Cartan, John Conway, Pierre Deligne, Timothy Gowers, Frances Kirwan, Peter Lax, William Massey, John Milnor, Cathleen Morawetz, John Nash, Karen Uhlenbeck, and many others. Conveying the beauty and joy of mathematics to those both within and outside the field, this photographic collection is an inspirational tribute to mathematicians everywhere.